Imagine a member of your target audience standing in a crowded store aisle, feeling overwhelmed by all the choices. What if you could just reach out and give him or her something to help with the decision — a coupon, product information, discounts — right at that moment? Content marketers will soon have the ability to do this, and a whole lot more, now that iBeacon has arrived. 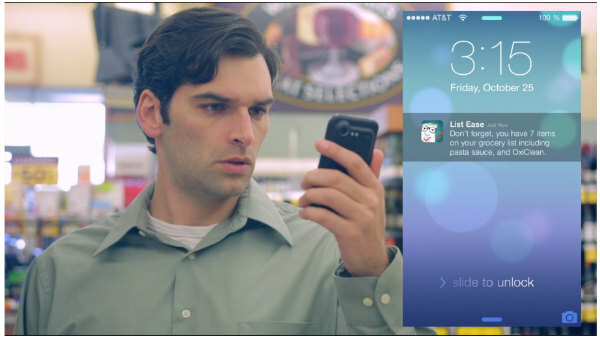 Included as part of Apple’s iOS 7, the iBeacon feature uses Bluetooth location-based technology to allow a sensor to communicate with a nearby device. Tiny transmitters can be placed throughout a building to determine visitors’ locations and send targeted alerts to their phones as they move about. The potential uses for this technology are just beginning to be explored, but one thing is for certain — this will be a powerful new tool for content marketers, and we should be thinking now about how to craft a content strategy around ways to capitalize on its potential. Shopping behavior: How consumers decide what to buy and when is going to drastically change. Winning at Google’s Zero Moment of Truth — that marketing moment a consumer spends online doing pre-shopping research — will require getting exactly the right content in the right place at the right time with even more precision. Shoppers will have the ability to collect real-time information, comparison pricing, discounts, and other helpful, highly tailored data as they walk through a store or browse near particular items. It will be imperative to produce well-timed, compelling content that is useful in those crucial moments before a choice is made. Customers shopping in a grocery store’s produce aisle could receive alerts about healthy recipes, or even a “meal map” within a store that delivers menus and the locations of all the ingredients. Shoppers in the cheese aisle might receive advice about good wines to pair with their selections. As customers walk through particular sections of the store, detailed nutritional information could be made available for each item. 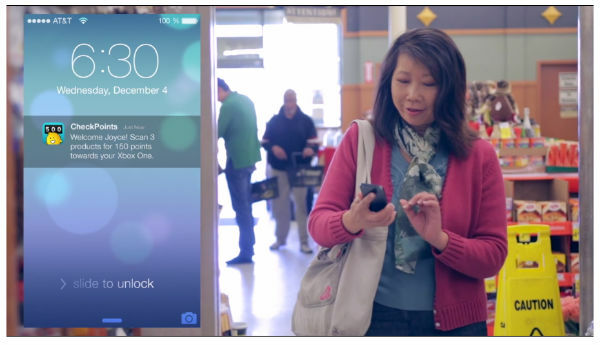 In-depth information could enhance almost any in-store shopping experience. Home improvement stores could offer lists of products needed to complete particular projects, and their locations within the store. Clothing stores could supply alerts to let shoppers know where to find additional pieces to complete an outfit. Garden centers could keep customers engaged by helping them plan their gardens via access to climate maps and recommended tools. Micro location: Digital content will be more closely tied to the physical world. The technology is extremely precise and can pinpoint consumers’ locations as they move around in a space, quietly and conveniently customizing the alerts they receive. Major League Baseball is already experimenting with iBeacon at Citi Field in Queens, N.Y., where visitors are greeted with welcome notifications, first-time attendees are rewarded with hot dog coupons and, at an appropriate location, a video on the history of the venue is delivered. A bar in London chose another way to utilize the technology: Everyone sitting inside the bar can access the most recent digital editions of two popular magazines using their device’s Newsstand app. From coupons and giveaways in stores to tours of museums to airports that provide real-time flight information, the possibilities are virtually endless. It will be vital for marketers to identify and partner with bricks-and-mortar locations that attract those consumers whom they are trying to reach. For instance, tourist information bureaus could create tailored publications only available in certain airport lounges; television networks could promote their content via videos delivered only to certain coffee shops in particular cities; and pharmaceutical companies could deliver updates to doctors’ waiting rooms. Increased engagement: Consumers will start to engage with content in a host of new ways. Rather than just providing information suitable for a web browser or even a mobile user, marketers will need to think about ways to provide content that will be of value to users as they live their lives. From businesses to city parks to our own backyards, we will be able to access helpful, real-time data like never before. The very environments in which we live will become interactive — houses will sense our approach, objects will notify us when they are moved, and buildings will guide us to the right location. This will create the need for new categories of information. The marketing funnel will start to resemble a long, elegant canal that delivers content to consumers at frequent intervals throughout the day. There won’t be just a one-size-fits-all webinar or eBook, but rather, smaller bites of content will become the accepted way to benefit the reader at a particular place and time. Consuming content will be much more integrated into our daily experiences, rather than a segregated activity. As we embrace the new possibilities presented by iBeacon, it will be important to keep in mind what we already know: Quality content should still be the centerpiece of any content strategy. The level and variety of ways to engage with a reader are changing, but he or she will still be seeking one thing above all others: good information. For more insight on helpful tools to enhance your content strategy, check out CMI’s eGuide, How to Choose Content Marketing Technology.